HLAA Indy to hold monthly meetings at accessABILITY! 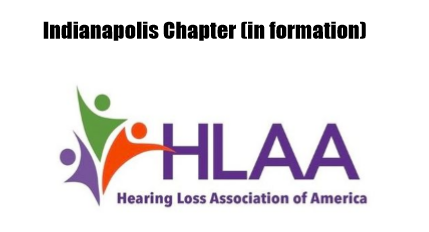 The Indy Chapter of the Hearing Loss Association of America meetings are held on the first Saturday of each month at 10:30am, now at accessABILITY! The next meeting is on September 1st at 10:30am. Indy Chapter meetings are free and we welcome everyone to attend. You do not need to be a member to attend meetings. HLAA President Teresa Gonzalez met with Director Tammy Themel, to discuss possible partnership endeavors. HLAA members will have an opportunity to volunteer at accessABILITY’s community events such as: disability fairs, diversity fairs and celebratory events throughout the year. How exciting. Thank you to everyone who worked on this partnership and continues to work so hard to make central Indiana more accessible to everyone!